CRIBS TO HEADLINE CAMDEN ROCKS! 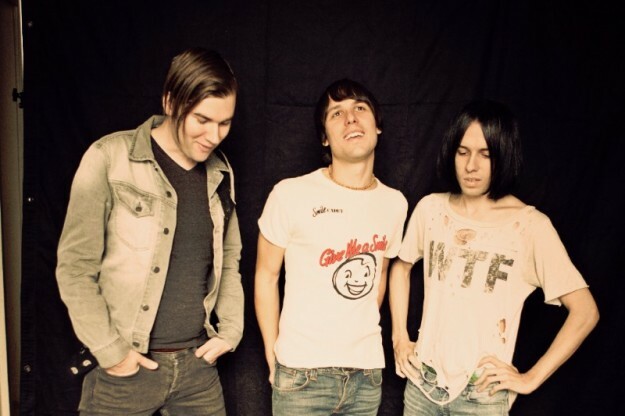 Wakefield indie-punks THE CRIBS have been announced as headliners for this years CAMDEN ROCKS! Closing the festival at the Electric Ballroom on Saturday 4 June, it will be the band’s first London show since they tore the roof off the Roundhouse has year. They’re just the latest addition to the Vive Le Rock sponsored festival, which in its fifth year is set to feature more than 200 acts across 20 Camden venues! The Cribs join a bill that already includes PENETRATION, YASHIN, SONIC BOOM SIX, JOHNNY FOREIGNER, THE ST PIERRE SNAKE INVASION, SYMMETRY, SKY VALLEY MISTRESS, GUMBLE BEE, DESPERATE MEASURES, BLURRED VISION, THE FALLEN STATE, DUCHESS, JOANOVARC, EMILY LEE, CARL BARAT & THE JACKALS, GLEN MATLOCK, GINGER WILDHEART, YOUNG GUNS, BILLY BRAGG, THE GODFATHERS, CREEPER, INME, JIM JONES & THE RIGHTEOUS MIND, THE VIRGINMARYS, WARRIOR SOUL, GUN, REIGNING DAYS, QUEEN KWONG, ROLE MODELS, LOUISE DISTRAS, THE TUTS, THE MEN THAT WILL NOT BE BLAMED FOR NOTHING, THE MAIN GRAINS, FATHOMS, LOUNGE KITTENS and loads more with still more bands to be announced! ‹ PETER MURPHY ANNOUNCES LONDON SHOW!